3-D printing has been hailed as the future of many industries, ranging from retail to medicine. 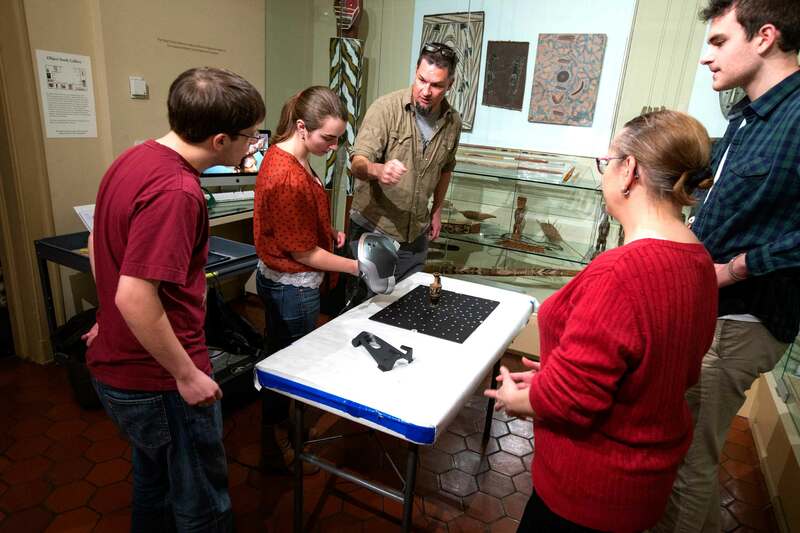 At UVA, faculty and staff are also using it to take a fresh look at ancient art. One of the University of Virginia’s latest 3-D printing projects began as a thank-you gift. Greg Lewis, at the time a fourth-year student double-majoring in mechanical engineering and classics, enjoyed associate professor Tyler Jo Smith’s 2014 art history class so much that he decided to make Smith a thank-you gift. 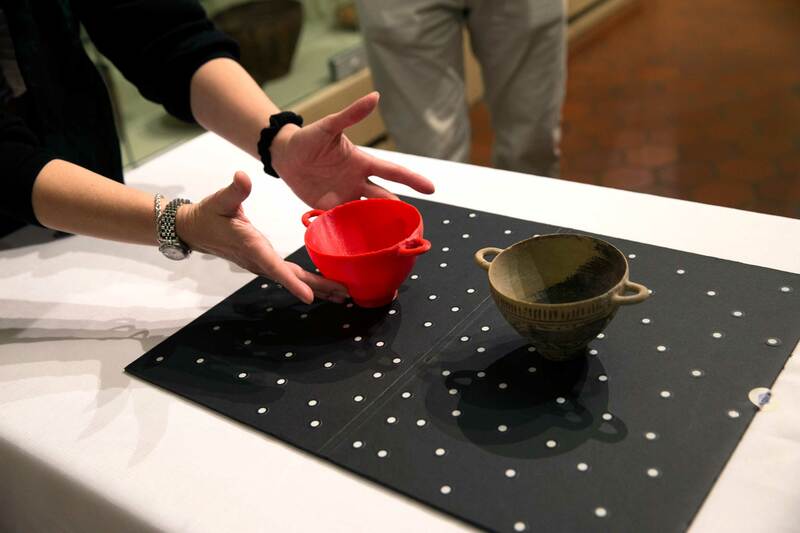 Combining his interests in art and engineering, he used UVA’s Rapid Prototyping Lab to create a miniature, 3-D-printed vase mimicking the ancient Greek vases he studied in class. Smith loved the gift – and it gave her an idea. What if she and Lewis teamed up to create exact replicas of ancient Greek vases and teach students about 3-D printing in the process? “I wanted to create scale replicas, so that students could pass them around the classroom and have a chance to handle them,” Smith said. Over the past year, Smith and Lewis, now a graduate student in the mechanical engineering program, have used a Dream Idea grant from UVA’s Mead Endowment to realize Smith’s goal, working with digital resources coordinator Leah Stearns and collections manager Jean Lancaster at The Fralin Museum of Art at UVA, as well as UVA Library information visualization specialist Will Rourk. Six students – two graduate students and four undergraduate students studying art, archaeology and art history – also joined in on the fun. The vase Lewis is scanning above was made in southern Italy and dates back to the fourth century. The design on the vase references the Greek god Dionysus, associated with grape harvest, wine-making and wine. It was likely used as a wine cup and then stored in the tomb of its owner, where it remained intact until it was unearthed centuries later. 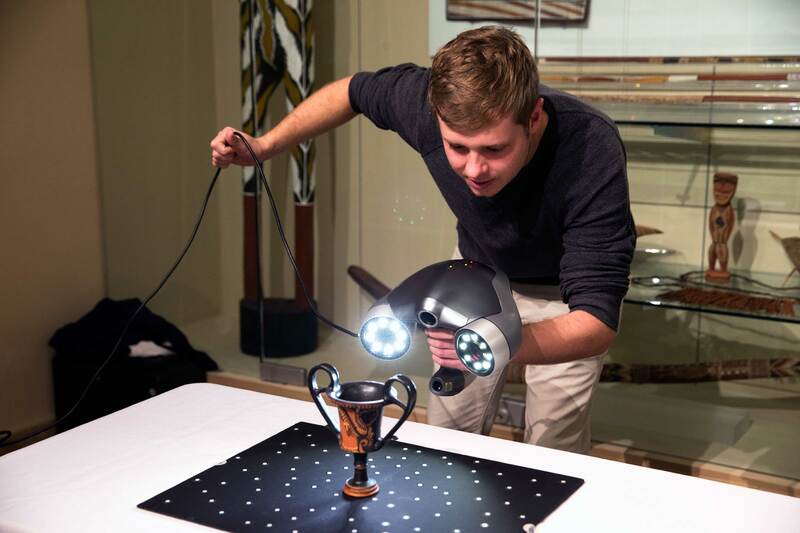 Rourk helped students like fourth-year archaeology student William Pedrick, shown above, scan the vases and explained the inner workings of the software programs that use scans to build virtual 3-D models of objects. Data from the scanner is transferred to a software program that builds an intricate virtual model of the object. That file gives the 3-D printer the information needed to create a replica. Many of the objects that the group scanned are on display in The Fralin Museum of Art’s Joanne B. Robinson Object Study Gallery, shown here. The gallery has approximately 140 objects on view, ranging from Chinese ceramics and sculptures to ancient Mediterranean coins, African masks and figures and beadwork, ceramics and silver from the Museum’s American Indian collection. Once scanned, Lewis printed 3-D replicas of the vases using 3-D printers in the School of Engineering and Applied Science. 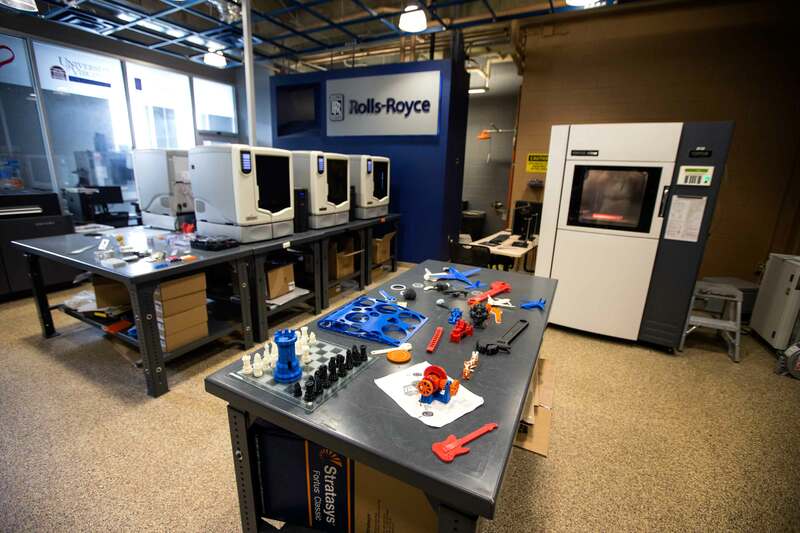 The school’s Rapid Prototyping Lab is home to several different types of 3-D printers available to students, faculty, staff and external clients.